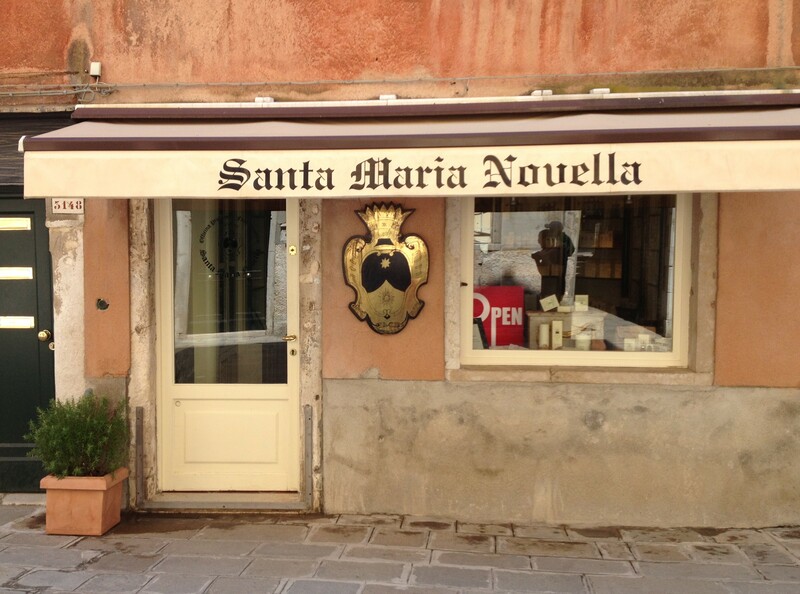 When I came into the pretty Santa Maria Novella store in Venice, having dragged my partially protesting family (for the record: The Husband was very supportive of my fragrant shenanigans) across the city in the heat, I knew I would come out again with a perfume. Such efforts need a reward after all. The entire range of gorgeously packaged Santa Maria Novella perfumes invitingly stood in line for me to dive in, but despite my best intentions, the fact that Niki tried to fall asleep in the lap of an alarmed looking Korean tourist in the store, distracted me enough to abandon the idea of smelling my way through the line. Vaniglia beckoned from the start, since I am on a vanilla hunt at the moment. I sprayed it on my arm, carried Niki out the door thinking I’d just leave it be. When I smelled my arm again outside, I knew I would forever regret not buying this though. So Niki safely deposited in his father’s arms, I went back and bought my bottle of Vaniglia. Open – now that is a sign not often seen in Italy in August. Vaniglia smells not like a gourmand vanilla scent at all. It opens rather sharply alcoholic, I don’t get much in terms of top notes actually, but don’t let yourself be distracted by the underwhelming start. Vaniglia develops into a perfume that is dark, boozy, smoky, but never harsh or very sweet, it is weightless and sheer despite its darkness, and it lasts for a long time on my skin, but stays pretty close. I can apply lavishly (which is how I like it). Vaniglia feels lush and rich, but not thick, dense or treacly. While I imagine it to be fantastic in the cold days of fall and winter, it also wears wonderfully in the heat we are still having. I’d consider it perfectly genderless. I smell not only vanilla in Vaniglia of course, but it has a decidedly burned quality to it calling to mind the gustatory pleasures of one of my favorite deserts, Créme Brulée, but also made me think of another perfume I seemed to know well, but couldn’t immediately place. This bugged me for days until it finally struck me – Serge Lutens Jeux de Peau!!! The sandalwood base covered with caramellized sugar is an element those two perfumes share, although it is a lot more muted in Vaniglia. I had to laugh when I read Neil’s take on it, since he points out its chastity and cultured elegance. Well, if that’s what it is, I’ll take my vanilla chaste, please. 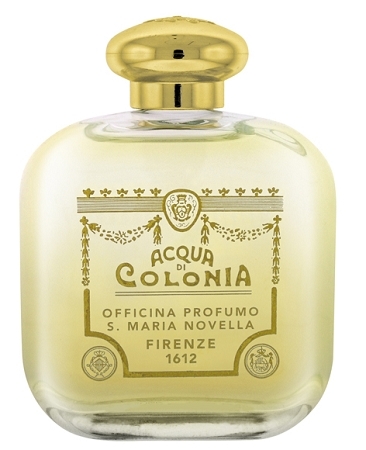 This entry was posted in Fragrance Reviews, Gourmand, Santa Maria Novella, Travels, Vanilla and tagged Firenze, Florence, Fragrance, Gourmand, Perfume, Review, Santa Maria Novella, Vanilla. Bookmark the permalink. Great buying from a house store. And no regrets! None! I love it, Jordan! It’s a miracle that you found a perfume that you liked enough to add to your collection under such stressful circumstances! I go to that shop every time, when in Venice – but strangely I’ve never bought anything else than Soaps. I’m always on the look for a good unsweet Vanilla – the problem with the one from SMN might be that I didn’t like Jeux de Peau either. But tastes change, so I have to revisit next time again! It’s a lot lighter than Jeux de Peau. As you say, taste changes, so maybe you’ll enjoy this more now. A lovely shop, isn’t it? I used to think I didn’t really like the SMN line, but now I have Fieno and I admit to being slowly taken over. I like my vanilla chaste too then. Those overblown sugar bombs are not for me. This sounds just perfect with the alcoholic and smoky accents. I was worried after my online research found that some were getting banana from this, but neither you nor Neil mention it so that’s good enough for me. Nope, no banana for me here (sounds funny though! 😉 ) . I haven’t tried this line but I like the sound of an un-sweet vanilla. I’m glad you realized you should buy it and aren’t living with the regret of not getting it. I love fragrant souvenirs from vacations. I didn’t try the citrus types this time, but eventually I surely will. Another chaste vanilla lover here! I don’t mind it slightly caramelised, but I had to give away my Ajne Vanille, as it was so very burnt and treacly. So I am curious about this one certainly. Love the idea of Niki falling asleep on a shocked Korean tourist – reminds me of the time I was watching a scary film in the cinema on my own – What Lies Beneath with Michelle Pfeiffer – and at one point shrieked and buried my face in the shoulder of the (completely unknown) woman next to me, who was not amused. I must re-smell my Ajne Vanille sample from you. Ooh, a hunky knight in shining armour would have been the ideal shoulder burrowing partner. 😉 Yes, it would be handy if you could compare this Vaniglia to the Ajne – if it is less treacly, it’s a contender! ‘Chasing Chaste Vanilla in Venice’ is particularly fine – alliteration is my thing, but anybody’s domain! I’ll sniff them side by side and get back to you! Hope you had some good ice cream! (I love Demel’s!) Happy weekend too you too! You should though! The violet (Veilchen) ice cream is amazing! Birgit, I can’t blame Niki. A good lap is sometimes hard to find. That sounds like a good plan, I’m sure Ines skin is a good model for Vaniglia. I was waiting to reply until I went to SMN in Florence today…it’s like pulling teeth to even request humbly to sample anything, you need to know exactly what you are interested in. Oh too bad! In the Venice store they let me browse undisturbed thankfully.